30 April 2015 – Kiev, Ukraine. 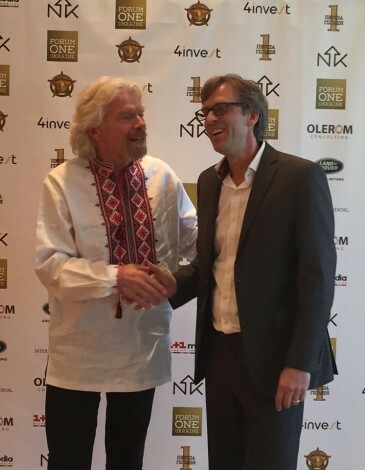 Today Sir Richard Branson flew to Kiev, the capital of Ukraine, in his private plane just so that he could speak to 3000+ attendees at the Forum One Conference. It’s a fair question. Here is a billionaire businessman with more than 300 companies, who also is personally involved in a number of global not-for-profit-projects and who is famous for privately living an extremely active life. So why does he fly for hours just to speak for a bunch of Eastern European business people? Great answer – but he could, of course, just have recorded a video and sent it to the organisers or posted it online. But he didn’t. He did not answer that question, but I think the answer is that there are few things that can give such a rush as standing in front of a big audience delivering a speech on a subject you really believe in. The excitement, the inspiration and the feedback that you get from giving a well received speech is hard to beat. Think about it: What do former US presidents do when they are done being “the most powerful man in the free world”? Answer: They often hit the speaker circuit. US presidents and billionaires – people who are better positioned than probably anyone else to do exactly what they want – choose to spend their time speaking. I find that an interesting observation. Lesson: The profession of being a professional speaker is probably the most inspiring job in the world. 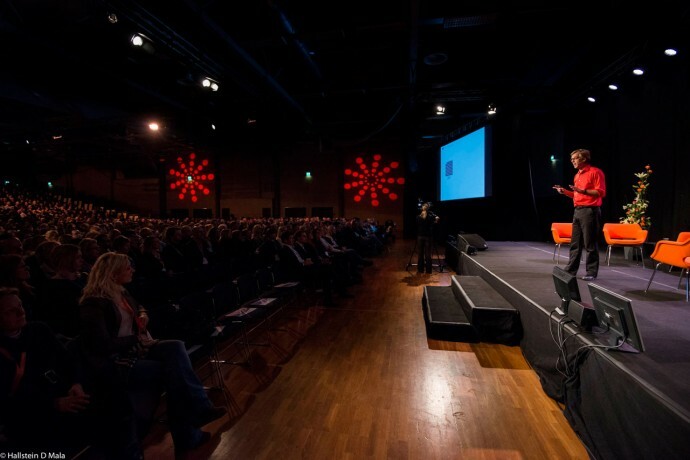 I had the honor of being one of the keynote speakers at the same conference as Sir Richard Branson. What I especially liked from Sir Branson’s talk was his message of thinking grand – and to always keep looking for problems so solve. But what I liked more than hearing him speak was seeing how he was the same inspiring, curious and interested person behind the scene in private as he was on stage (and which we have gotten to know via the media.). He is possibly the person with the most positive energy that I have ever met. 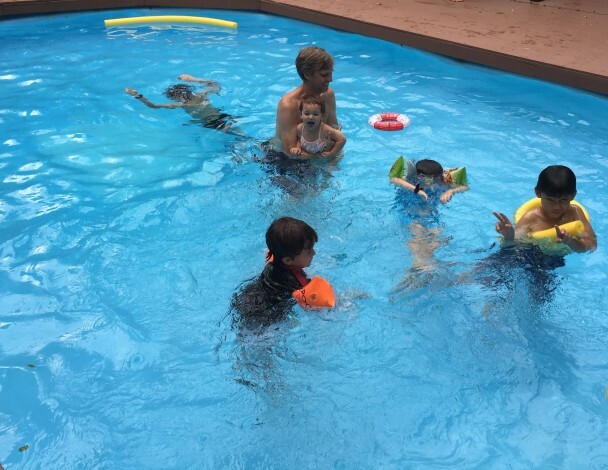 April 6 – Singapore, Singapore. And yes, it is true, I do travel a lot. I was in 32 different countries last year. I spend more time in the air than a commercial airline pilot, and not long ago, I used three separate around-the-world-tickets in 2 months. And so it goes on. But I also spend a lot of time at home with my kids. I actually spent MORE time with my kids than someone who works 9-5, has 4 weeks of vacation and NEVER travels for work! The difference being that the person who works 9-5 gets to see his or her young children a few hours before they go to sleep, whilst many of my hours with my kids are “quality hours” during the middle of the day when the kids – and their dad – are not tired. Working 8 hours Mon-Fri + 1 hour commuting to work + 1 hour of lunch away from home + 8 hours of sleep = 6 hours of “free time” that can be spent with kids (or train for a marathon or whatever). 47 working weeks + 6 hours of free time per day Monday – Friday = 1410 hours. = 2642 hours of free time per year. 20 weeks of free time * 5 days per week * 16 hours = 1600 hours. = 2432 hours of free time. That makes 200 hours of more free time for the “normal worker” but then I have not counted all the days during my “working period” when I have days where I have some hours with my kids. It is EASILY 40 days per year (in reality much more than that). So 40 days * 6 hours with kids = 320 hours. Conclusion: It is totally possible to be a global professional speaker AND have MORE quality time with your child than if you work “9 to 5” and never travel. So “travel the world” or “be with your kids”? Well, you can have it all. That is the life of a global professional speaker.